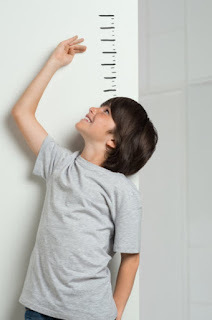 According to Science Daily, a new DNA tool can accurately predict people's height and could potentially assess risk for serious illnesses, such as heart disease and cancer. It first started out with studies being done in Michigan State University, where computers were used to read people's height and bone density. The reading of bone density was not entirely to point, but it showed accurate readings of other things, such as diseases. The advanced algorithm is able to look at the genetic make up and height of each person. The computer learns from each person and ultimately produces a predictor that can determine how tall they are from their genome alone. The computer system is currently being worked on in order to advance and accurately interpret genetic traits and diseases. This new technological advance can help many doctors identify a better way to read and predict illnesses. A genomic test using this algorithm can be as simple as a cheek swab, with efficient cost as low as $50. I believe that this is a better advancement into technology, where doctors are going to have a better hands on exposure to patients health.